Countdown to another year with impressive celebrations at Diamond Hotel Philippines as the world bids farewell to 2013 and welcomes the New Year with sparkling offers for December 31 and January 1. Sumptuous meals await guests at Corniche where they can indulge in the New Year’s Eve lunch buffet, or join the party and welcome the coming year with a New Year’s Eve Dinner Buffet on December 31 for only Php 3,999 nett per person including a glass of Piper Heidseick, party favors and access to the New Year’s Eve countdown event with the SPIRIT OF ‘67. Plus, those availing of the New Year’s Eve Dinner Buffet at Corniche will get a chance to win a Roundtrip Ticket to London! 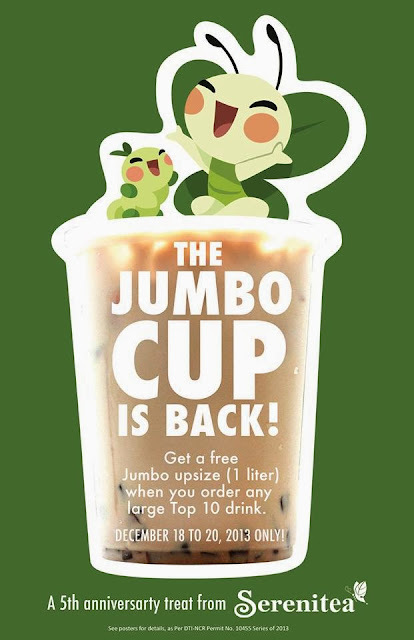 Serenitea's Jumbo Cup is back on their 5th Anniversary Celebration! Happy 5th Anniversary Serenitea! Thank you for 5 great years, and more to come! 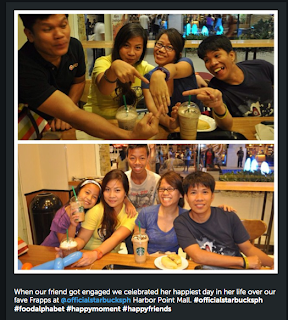 With that, Serenitea in celebration of their anniversary is bringing back the Jumbo Cup! Just order any large drink from the top ten drinks list and get an upgrade to the Jumbo cup (1L) for FREE. This Anniversary treat is on from Dec. 18 - 20, 2013 only! Thank you Serenitea! Visit any of their branches to enjoy this anniversary offer. The Cake Club, one of the best dessert places in town serves up one of kind desserts and flavors to die for, but do you know that they also whip up great tasting entrees? Ah huh! Well, I myself got surprised as well, the name "The Cake Club" just gave it away, but one thing's for sure, there is more to The Cake Club than just cakes and desserts, it's the whole delectable experience. Seattle's Best Christmas drinks + Seattle's Best 2014 Planner giveaway! Seattle's Best Christmas drinks to enjoy this season! The Season of giving is here! Christmas songs playing everywhere, Christmas decors and Christmas lights beautifully adorn the busy streets of the metro, and yes the Seattle's Best Christmas drinks are here! Every year, as the holiday season comes along, Seattle's Best Coffee holds true to giving us that unique Christmas experience with their fun coffee concoctions, and this year promises to be a treat, starting with the famous and returning Cookie and Mint, plus 3 more new flavors in Eggnog Frost, Roasted Hazelnut and Gingerbest. Whether it be a birthday celebration, an anniversary gift or a Holiday present, there is no other perfect gift than the gift of love. 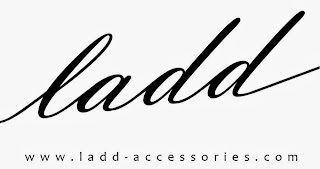 But with ladd accessories, it's a gift that comes from the heart. ladd accessories offers custom made personalized jewelry and beautifully handcrafted pieces that evoke timeless glamour and provide you with affordable luxury and is focused on quality and style for long-lasting wearability. 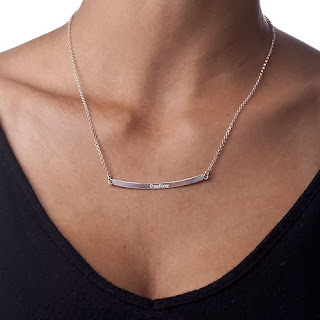 All of their custom pieces are crafted from precious metals - sterling silver 0.925 / 18k gold plated on sterling silver 0.925 /14k solid gold, and provides free shipping worldwide from Toronto. IS COMING BACK TO THE SOUTH! 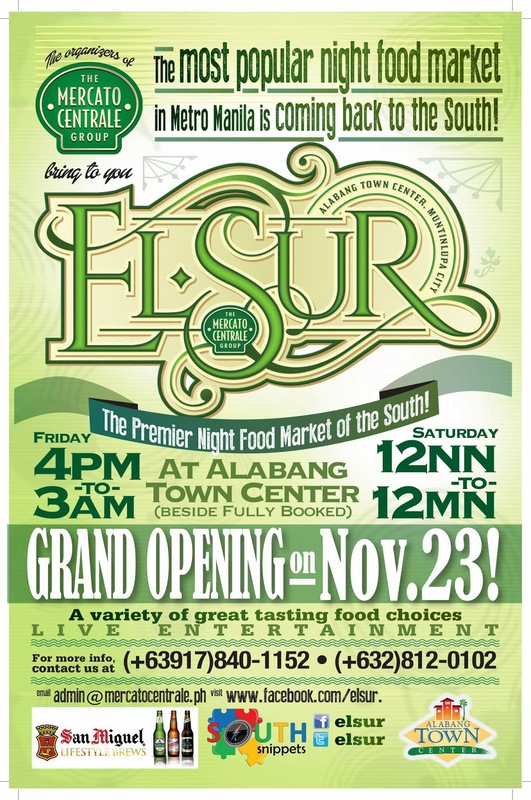 Great news to all the foodies from the South! The Mercato Centrale group, organizer of the Manila’s most popular night food markets, is bringing back the Mercato Centrale experience to the South! 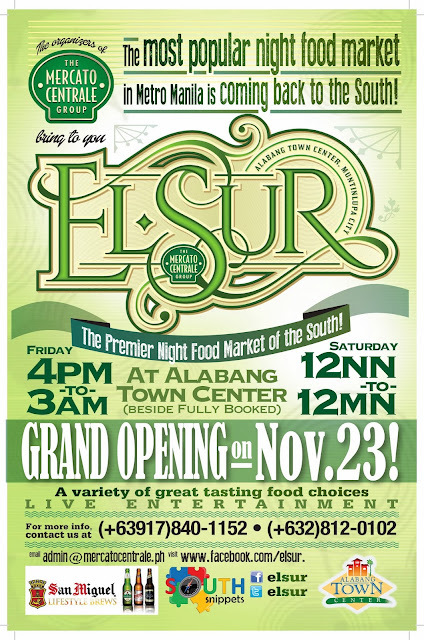 Join us at EL SUR – the NEWEST Mercato Centrale market that will be open in Alabang Town Center (beside Fully Booked) every Friday (4pm – 3am) & Saturday (12nn - 12mn) which started last Nov. 23! Singapore is known for their diverse food selections, that has made Singapore a melting pot of great flavors. People from all walks of life enjoy bits and pieces of Singapore flair, even though I have not been to Singapore (can you believe this? I can't believe it myself), I'm so glad, one restaurant has made it here in the Philippines, and makes me feel a little closer to Singapore with every bite. Boon Tong Kee started out just a small store in Singapore's Chinatown in 1979 and has blossomed to 7 branches in Singapore, opened in Indonesia, Thailand and now the Philippines. Yes, I know! Not another ramen house, you visit here then you go there, suddenly it's ramen everywhere. The ramen craze is getting the better of us, and I'm glad to say that our dependency on rice as a staple for meals is slowly shifting to...guess what Ramen. Not ramen in particular but the whole noodle pack in general. So let's cut to the chase, what does Hanamaruken Ramen have to offer us that is different from the ramen places in town? Read on to find out. 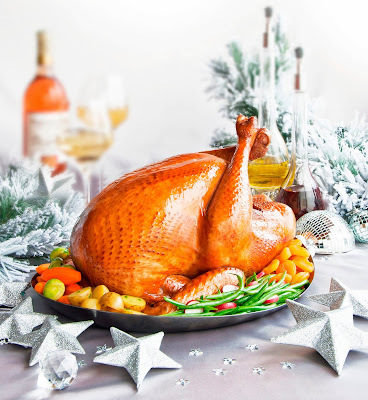 Diamond Hotel's Christmas goodies and Party platters! Diamond Hotel this Holiday season! You can feel the cold breeze and shorter days as November comes to a close. But Christmas comes early at Diamond hotel and you don’t have to wait for December as Diamond Hotel Philippines has already wrapped up a delightful selection of Yuletide gourmet creations -- beautifully presented and meticulously prepared to serve as the best gifts for the joy of giving and celebrating! 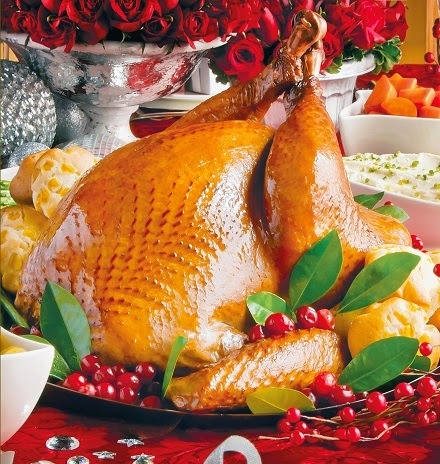 Diamond Hotel offers an array of sumptuous feasts and superb gift ideas for a bountiful holiday celebration. 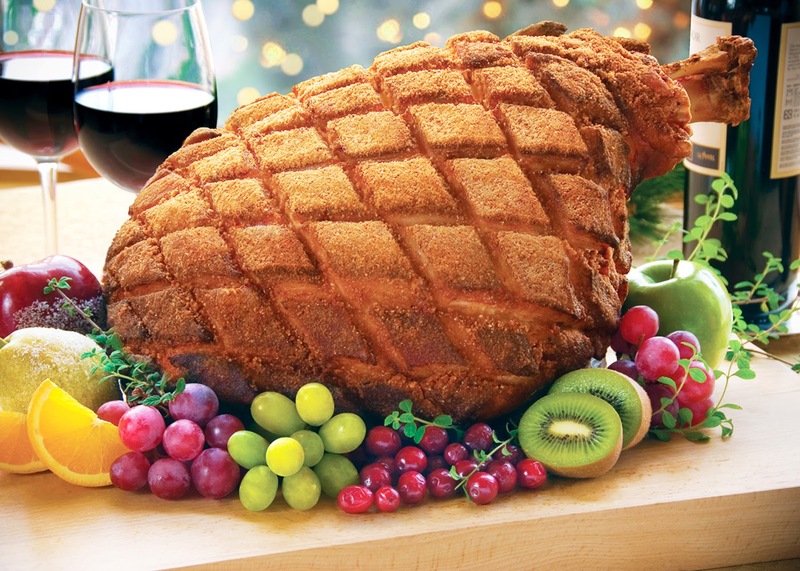 Gather those you hold dearest and enjoy the spectacular flavours of the hotel’s Christmas Goodies and Party Platters. 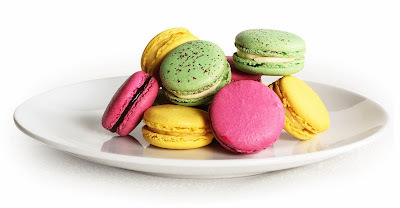 Set your Christmas tables with Diamond signature desserts, luxurious hampers and wonderful party trays. The gourmet selection includes some all-time favourites like Lechon de Leche, Christmas Turkey, US Beef Rib Eye and US Virginia Ham. To cap your celebrations, indulge on Diamond Hotel’s sweet treats including its bestsellers; Supermoist Chocolate Cake, Le Royale, Baked Cheesecake, and the ultimate Ube Ensaymada, which are reputedly the best in town. 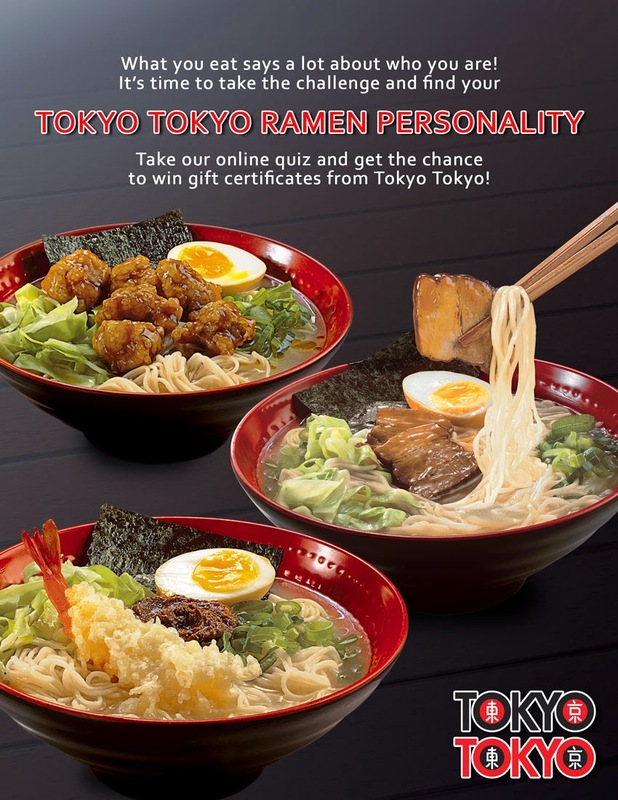 What's your Tokyo Tokyo Ramen Personality? + GC Giveaway! Which Tokyo Tokyo Ramen are you? Are you a Braised Pork Ramen? a Spicy Chicken Ramen? or a Tempura Miso Ramen? Take the Tokyo Tokyo Ramen Personality test to find out! Sofitel Manila With the onslaught of the monster typhoon Haiyan (local name: Yolanda) several days ago, luxury hotel in Manila Sofitel Philippine Plaza today launches an online donation drive, accepting monetary donations via Paypal for the families and victims of the devastating event: http://tinyurl.com/haiyandonate. 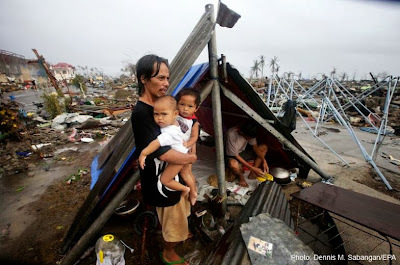 Last week, the Philippines has been ravaged by one of the worst disasters ever recorded in recent history, destroying shelters, demolishing livelihood, killing thousands and displacing countless more. Coffee Bean and Tea Leaf, the country's foremost, office professional and home preferred coffee machine maker is offering their delightfully beautiful CBTL Kaldi at 50% off! This Great Coffee Machine Exchange event happens on Nov. 15 - 17, 2013. 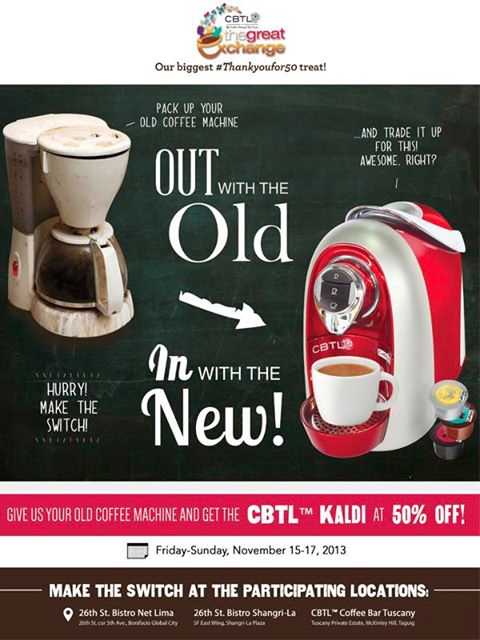 Trade in your old coffee machine to this brand spanking new CBTL Kaldi at 50% off! Make the switch at CBTL 26th St. Bistro Net Lima, 26th St. 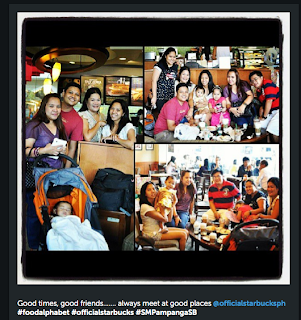 Bistro Shangri-La and CBTL Coffee Bar Tuscany. It is with heavy hearts, that we see our fellow countrymen suffer the wrath of typhoon Yolanda. But even though so much love and relief has been poured out to help alleviate the situation of the victims of Yolanda, it doesn't end there. Relief may be here but what is more important is how they could once again rebuild their lives. Everyone does their part in giving to the victims of typhoon Yolanda, and so does Ginza Bairin. Join Ginza Bairin's Katsu for a Cause. Dine with Ginza Bairin on Nov. 20 - 21, and they will donate 100% of their profits of the 2 stores for 2 days! All proceeds will go to the Philippine Red Cross for Yolanda Relief. Let's join in the cause for greater things. 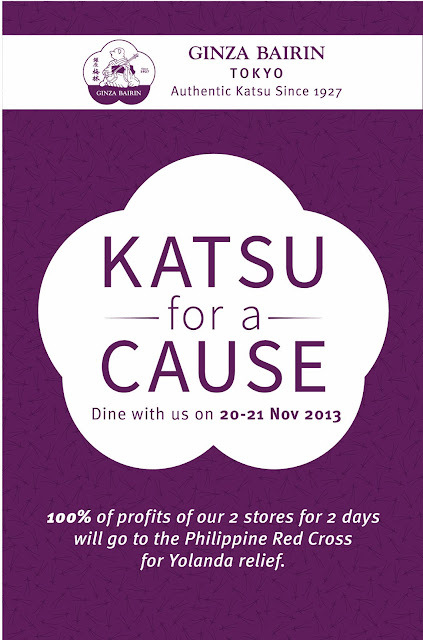 Katsu for a Cause. The whole world is doing their part, how about you? Under the onslaught of typhoon Yolanda, the Philippines has suffered its worst disaster in years. The whole world is up in arms to help the people who have experience the worst days of their lives, but it's not over, relief has to be given and we have to do our part. 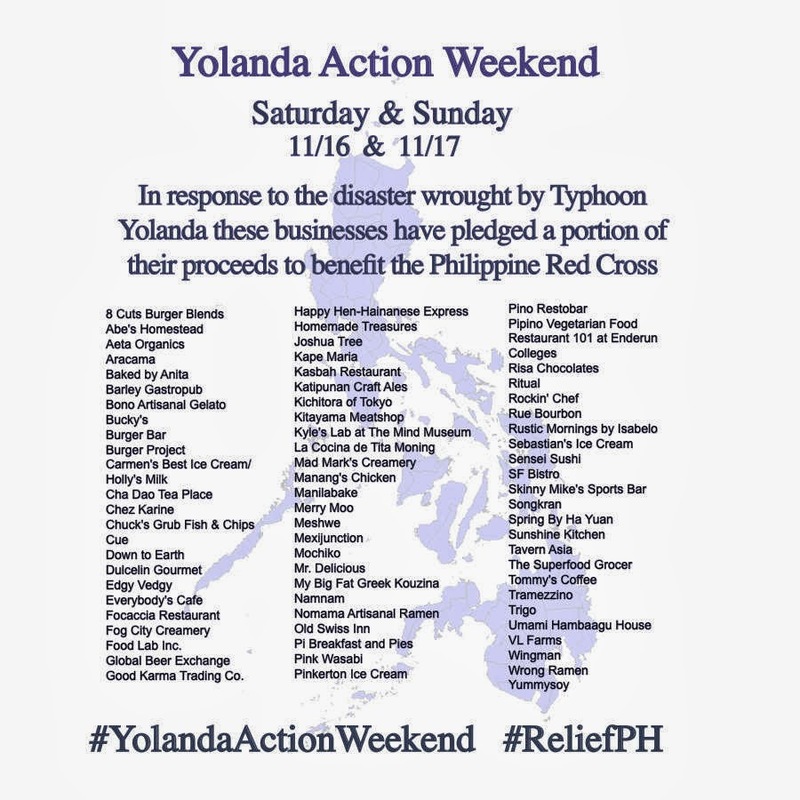 Yolanda Action Weekend, is a combined effort of all restaurants in their pursuit to help in providing for the people who have suffered and mourned their losses. This weekend, headed by Mr. Delicious. Let's combine our efforts and support Yolanda Action Weekend. Dine for a Cause at these restaurants listed as they pledge their proceeds for Philippine Red Cross to provide additional funding for their operations. The UCC Group has pledged their proceeds of their sales on Nov. 14, 2013. If you like to directly donate to Philippine Red Cross, you may do so HERE. Thank you all so much for joining this giveaway, for it not for you guys, well, we won't be here hosting this giveaway for you. And without further delays, read on below if you are one of the winners of P2,000 worth of GC's from Ginza Bairin. In light of recent unfortunate events that has struck our country, let us work hand in hand in giving to our less fortunate brothers in Central Visayas. 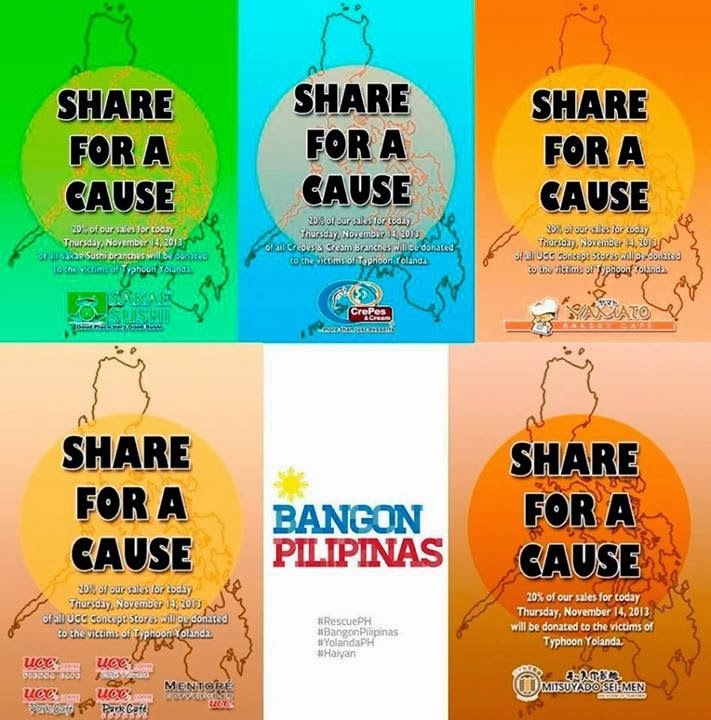 Let's do our part, and put our resources in one, as they say if you have money, donate, if you have strength and donate your efforts, let's all do our share. Want to help? Manila Life and The Food Alphabet, with the efforts of Spanky Enriquez, from Manila Boy brings to us some of the institutions that are currently and actively getting our donations and putting them to good use. Let's share our blessings! 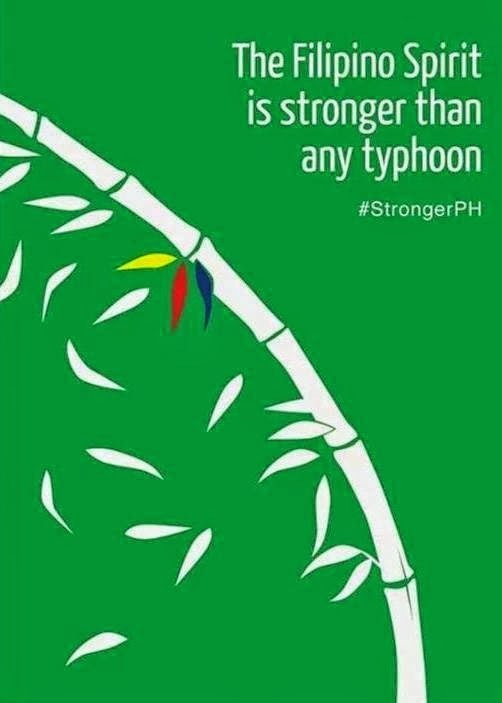 Have a friend, a family member or a loved in these typhoon stricken place? CLICK HERE to find out if they are safe and well powered by Google. If you have lost contact with your family or friend, here is a good place to start looking. 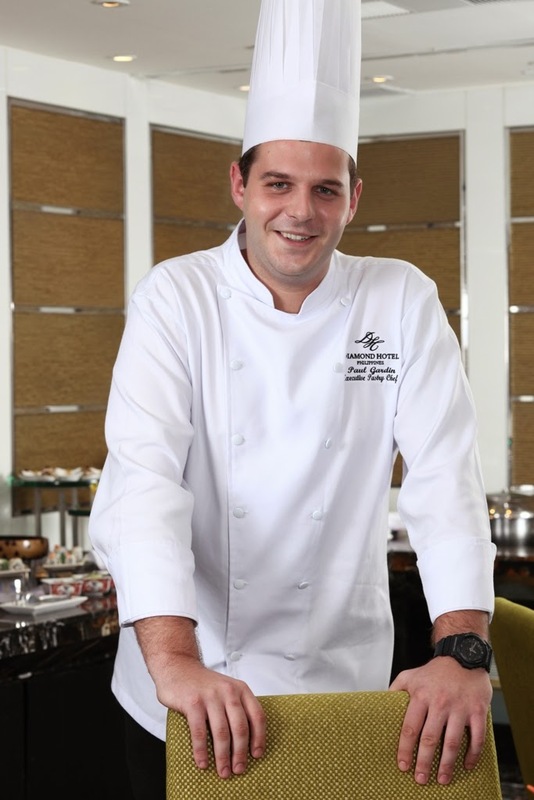 Diamond Hotel’s general manager Vanessa Ledesma Suatengco proudly announces the appointment of their new executive pastry chef, Paul Gardin, a talented French pâtissier who aims to raise the level of the hotel’s already remarkable line-up of sweets. Chef Paul Gardin was born in Paris, France and had started his career at the age of 13. At 15, he became a pastry apprentice at Restaurant Le Braisiére in Paris then moved to Hotel Les Hetres, both establishments has a Michelin Star. In 2006, he became a pastry apprentice at Restaurant Le Meurice Palace, hailed as the Best French Restaurant in 2007 and is run by 3 Michelin Star chef Yannick Alléno. Starbucks Card Christmas edition.. perfect for the holidays! The Starbucks Card Christmas edition... just for you! Christmas is just around the corner, time to celebrate the holidays with family and friends in this season of love, friendship, family bonding moments and of course gift giving! 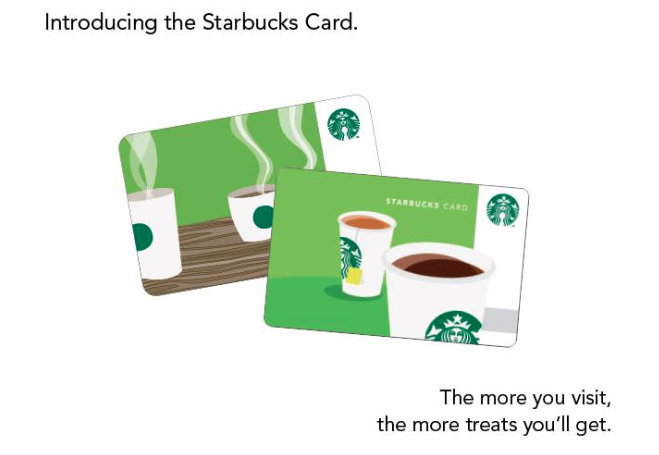 Look at what Starbucks has in store for you! Before we announce the winner, let me thank everyone for joining and making this a successful giveaway. And of course let me thank Spiral Manila for sponsoring this buffet giveaway. So after much excitement, endless buffets and a giveaway so enticing, we are so happy to announce the winner of our Spiral weekday lunch buffet for 2. It is a sad fact that in today's world, still a majority of the people in this world do experience hunger in some point of their lives. And even as we do our food trips around the metro, we always make sure that no food is wasted, and if ever we do take outs, we make sure that it is consumed the next day or at the very least share it with our less fortunate brothers and sisters. We do our daily commute and see street children beg for money, can I possibly ask a favor that instead of giving them money, let them have your food instead. I would think they would need that more than a few peso, which might lead them up to no good. With that in mind, Unilever, through its Foods category and Food Solutions business does their part and help the United Nations World Food Programme to help end child hunger by improving the availability of school meals around the world. 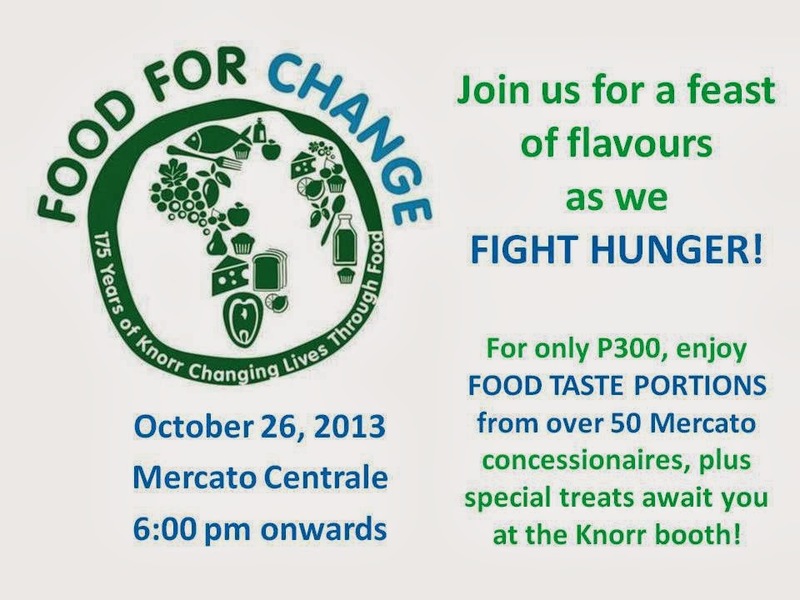 Joining the commitment is Knorr, as it celebrates their 175th anniversary. It's the most wonderful time of the year, feeling the cool breeze? Yup, the "ber" months are kicking in and it's time once again for the ushering of the new Starbucks Planner. Every year, Starbucks embarks on a mission to help out on our less fortunate brothers and sisters, and you can do your part. 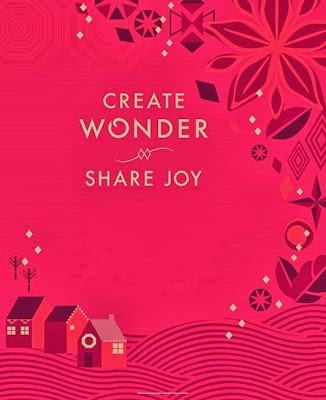 Find out how, as we unravel "Create Wonder and Share Joy" the ushering of the 2014 Starbucks Planner. 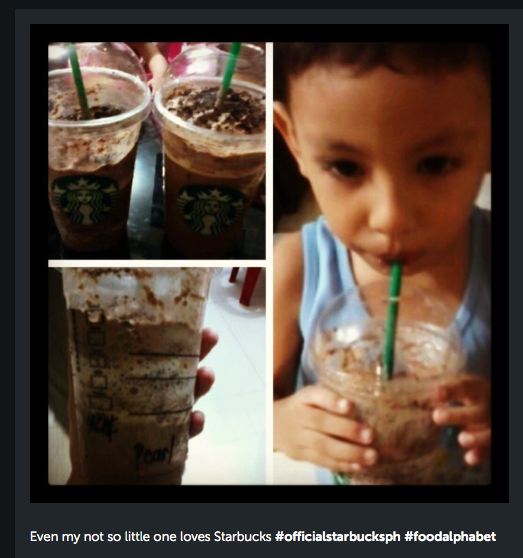 Find out here at The Food Alphabet on how you can do you part to help and with it get your hands on the new Starbucks Planner 2014 edition. 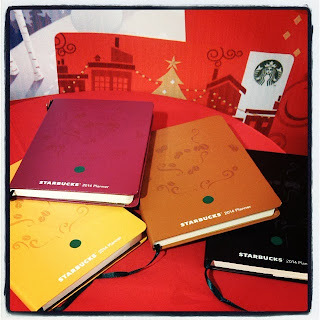 Want to know what the Starbucks 2014 planner have in store for you? Will it be red and made of all the beautiful things in the world? 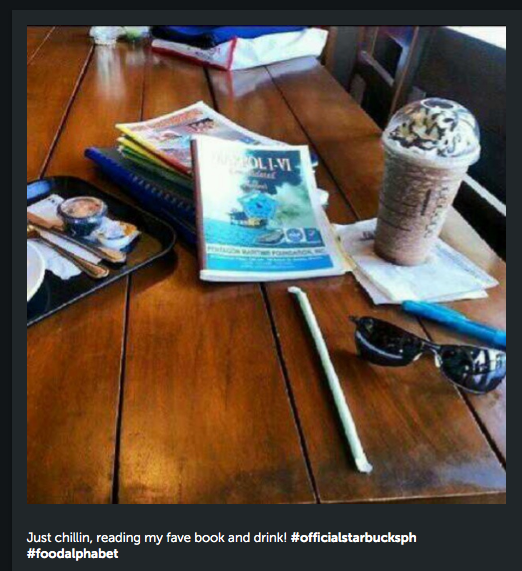 Follow us on Instagram, Twitter and Facebook and be the first to know about The 2014 Starbucks Planner. 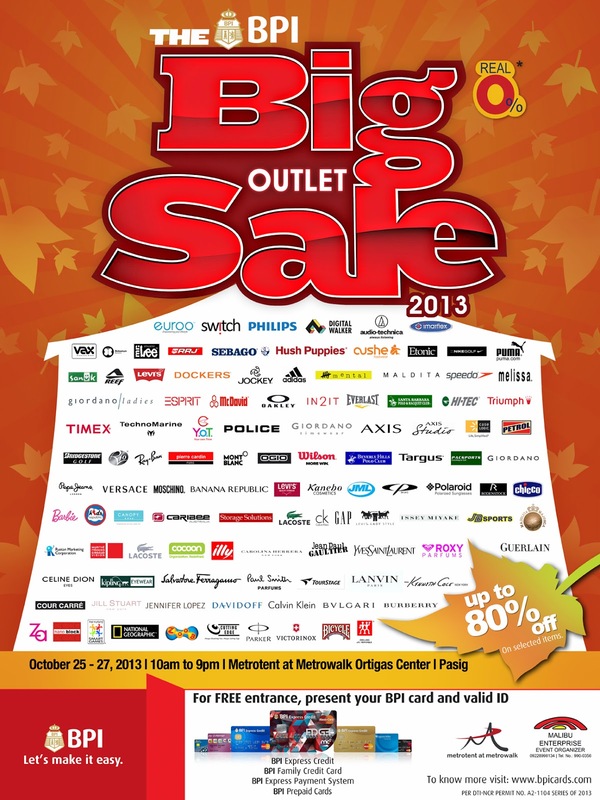 The Big Outlet Sale 2013 at the Metrotent + Win FREE entrance passes! Start your Christmas shopping early! Go to The Big Outlet Sale 2013 happening on Oct. 25 - 27, 2013 at the new Metrotent at Metrowalk Ortigas Center. Get to enjoy big big discounts of up to 80% on great selections from fabulous brands. 1.) FREE Entrance to all cardholders of BPI Express Credit (all BPI credit cards), BPI Family Credit Card, BPI Express Payments System, and BPI Prepaid cards and children ages 12 years old and below. Cardholders must show their BPI card and a valid ID at the entrance. 2.) FREE entrance for customers who apply onsite for a BPI Express Credit at the entrance of the venue and must completely accomplish an application form and submit ID to be photocopied by the BPI Direct Sales agents. 3.) Fee of P50 as entrance fee for customers who have no BPI card or is not interested to apply for a BPI Express credit card. 4.) 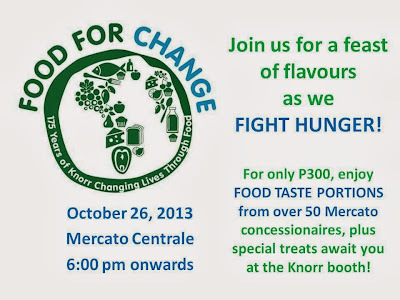 Get FREE passes from The Food Alphabet!! Details below! Ginza Bairin opens 2nd store at UP Town Center on Oct. 19 + P4,000 worth of GC's up for grabs! Ginza Bairin opens 2nd store in UP Town Center! Craving for insanely delicious Katsudon? Then people up in the North and East side of the Metro, fret not for Ginza Bairin, Tokyo's No. 1 Katsudon place will be filling up your tummies starting Oct. 19. And here is a special announcement. 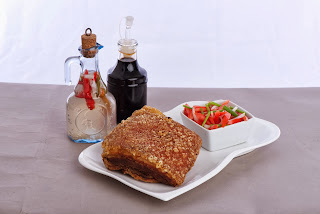 "The First 100 diners at Ginza Bairin UP Town Center will get a surprise"
Having opened their first branch in Glorietta 2, it has been the go to place of the discerning and people who crave for a great food experience. It has truly lived up to its name, serving bowls and bowls of satisfying meals. 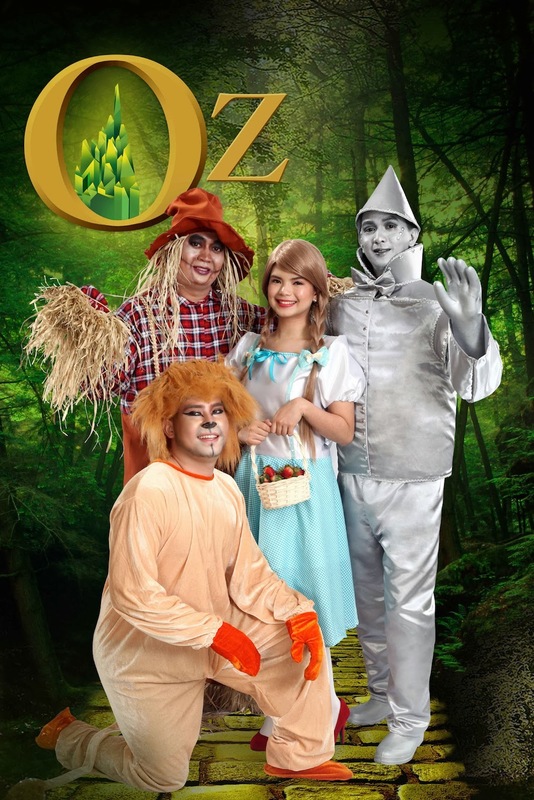 Get the kids in a fun Halloween spirit and take a trip down the yellow brick road going to Diamond Hotel Philippines. Halloween excitement and sweet treats are combined to give the kids a great time. Take an enchanting walk on October 27, 2013 to the Oz Halloween party staged at the Diamond Ballroom. Exciting activities and surprises are in store for kids like face painting, glitter tattoo, arts and crafts, and families can have their souvenir photos taken at the photo booth. 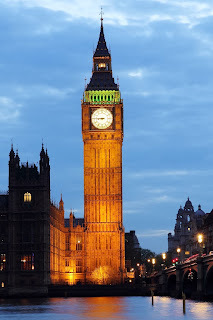 Catch stilt walkers, mime performers, a magic and illusion show, and other live performances. For the ultimate Halloween experience, there will be an enjoyable Trick or Treat activity (for kids only) around the hotel. Children in costumes will get a chance to win special prizes. Tickets are priced at Php 800 nett per person (kids and adults), which includes a snack box and a chance to win great prizes in the grand raffle draw including a Samsung Galaxy Tab 3! Diamond Indulgence members are entitled to a Php100 discount for a maximum of four tickets. 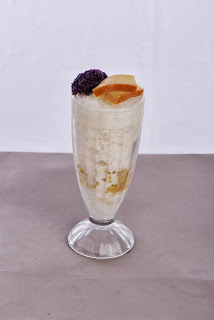 Spiral at Sofitel Philippines... in a class of their own + a Spiral buffet giveaway for 2! Spiral, the Philippines' most luxurious buffet, is probably the most sought after buffet in Manila, and when we say they are in a class of their own, I really mean it, and to date nothing comes close to the Spiral experience. I always feel excited whenever I would get the chance to dine at Spiral, the thought of it sends goosebumps all over. The pleasure of dining at Spiral, is like taking a trip to food heaven here on Earth. As you enjoy the scenic view of Manila Bay, you are also treated to a grand display of the finest international food selections on 21 dining ateliers, indeed is a food journey to behold. 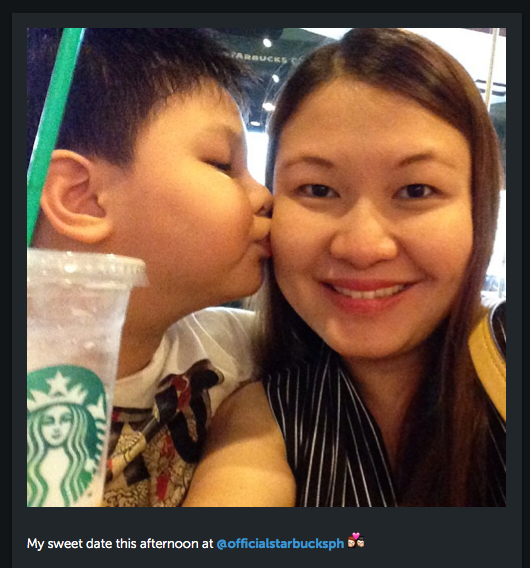 And here are the winners of the Starbucks Cards! Thank you everyone for joining, and even though we had a small turn out, we still appreciate the effort put into making this contest great! 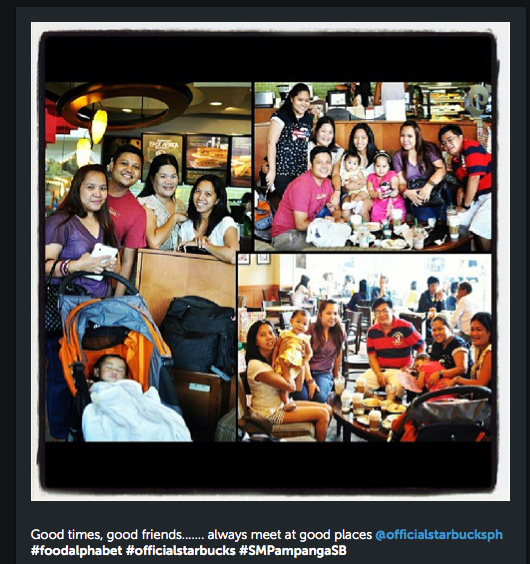 And of course we would like to thank Starbucks Philippines for sponsoring this contest. So here we go. Congratulations to our winners! For our winners, please email me at abetabet2002@gmail.com, so I can confirm your identify, and also so I can send instructions on how you can get your Starbucks card, Thank you once again to all for joining! Please watch out for our next giveaway coming out very very soon.. hint: buffet! The real Korean Fried Chicken! Somewhere between Myeongdong and Sta. Mesa (wow spanning 2 countries!) is a Korean chicken place I have an affair with that my wife does not know about, and I just love their chicks! I mean their Fried Chicken! haha don't tell Joan.